Drop shippers all have one thing in common, they need good suppliers to be successful. Having ﬂoods of trafﬁc to your drop shipping site does absolutely no good if you don’t have suppliers or have poor suppliers. 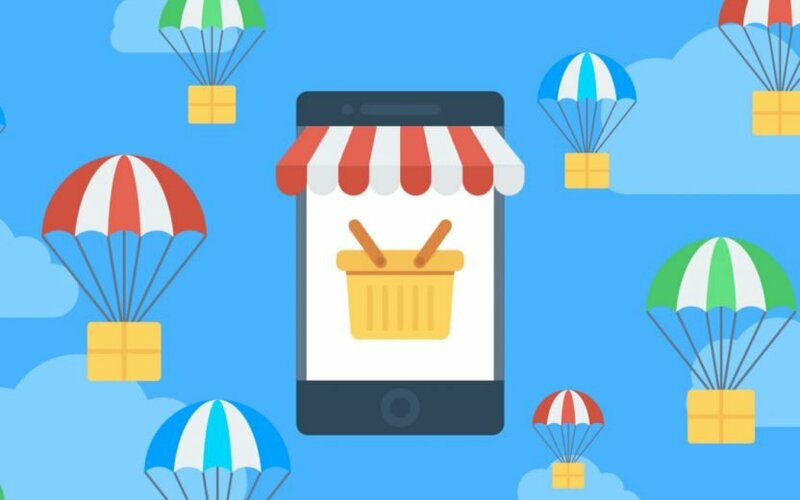 Quality suppliers who can ﬁll orders quickly, be reached by phone during business hours, and stand behind their products, are the foundation to your budding drop shipping business. Funny enough, getting quality suppliers is where I see most people trying to take shortcuts or just giving up altogether. Time after time I ﬁnd lists of drop shipping suppliers being sold on the internet, some are even free. Guess what, most of them share a common trait, they are crap! In addition to being crap, most of them are lists of companies who are playing middleman for the real manufacturers and they are getting a cut from every one of your sales. Getting good suppliers requires you to go a little old school and pick up the phone. Once you know what you want to sell, and have made a list of brands that make that product, you really need to plan out some time and make yourself pick up the phone to call each of them. Some of them are going to tell you no, some of them are going to blow you off completely, and some of them are going to use terms you may not have heard before. But don’t worry, by the time you read to the end of this post, you should be able to handle almost any supplier. Start out with a list of all your potential suppliers. Try to search the web and get as much contact info on them as you can. (Website, email, phone, location, names, ect.). Next you want to sort your list in order of importance with the most important or popular brand on the top of the list. When you start making calls, start from the bottom of the list. This way, if you mess up a call and it results in a no, you didn’t burn one of the main players. Ok, got your list ready?….. Let’s move on. Go to the last supplier on your list (the least important one). Go visit their website and/or review websites, and browse around for info. You’re looking for speciﬁc products that stand out, what makes them different, what THEY say makes them different, anything that sets them apart in some way from the competition. For example, if I was looking for a framing nail gun, and the supplier I was after was Hitachi, I might write down they are the least expensive option, or that they have replacement parts easily available. Think of a few questions you can ask them about their product. Such as how does your product x compare to your competitors product x. When you ask a question like this, be prepared to let them talk. DO NOT interrupt them, they are trying to sell themselves to you and your battle is half over before it starts. Before you do pick up the phone, here’s a few quick tips to help prepare you for that ﬁrst call. Ask to speak to someone about becoming a “Retailer” for their product. Do not mention an e-commerce account or drop shipping until you have the right person on the phone. Be in the right mindset before picking up the phone. You are interviewing them, not the other way around. Their business depends on others like you selling their products. Don’t say “I”, say “We” when referring to yourself. It makes you sound bigger than you are without really telling a white lie. If you are called on it, you can always explain that it’s a family business. Your number one goal is to get the initial paperwork from them, nothing else at this point. Simply ask them to send you the forms needed to become a retailer. If you can make this step happen, there’s a pretty good chance you just got an account. Once you have the paperwork ﬁnished and return it, ask for a time you can speak with them to answer some questions. Chances are, they will contact you before this to ask YOU some questions. On this second call, show some knowledge about their product and give them a compliment about quality or something. Then ask a question, any question, like “how does your product compare to product x brand” and let them talk YOU into carrying their brand. 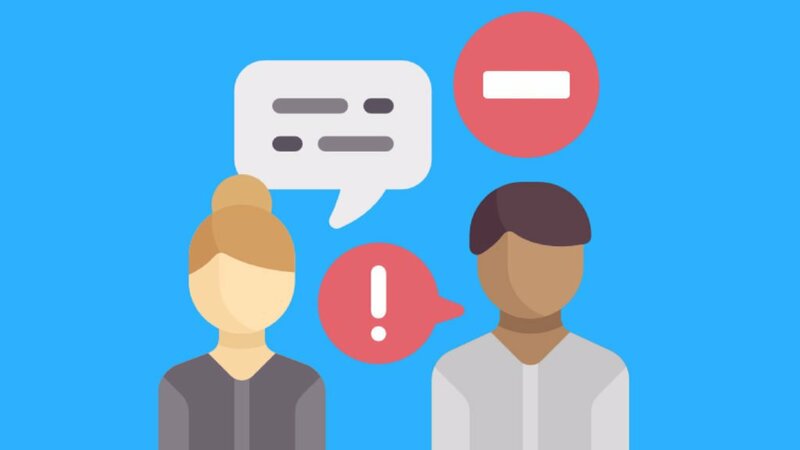 Ask for documentation such as user manuals and troubleshooting docs that you can pass on to your “support team” to study and train with. These documents also make great material for ﬁnding unique descriptions. Once you have a good relationship and have their products online, call them back (or even email at this point) with a link where they can see how good their products look on your site, and express your excitement at the prospect of your ﬁrst sale with them. After your ﬁrst sale or two, pick up the phone and negotiate better terms. The suppliers NEVER give you the best deal starting out, after a few sales and a demonstration of your ability to move their product, most are willing to work with you in some small way. Ask them to waive or reduce your drop-ship fees, give you better pricing, whatever you need. Keep in mind, you did sign a contract with them so this may not happen, but I have seen almost 50% of my suppliers give a little if just asked. Don’t take no for an answer. You will get told no, but that really means maybe. Just keep moving down your list and come back to them when you ﬁnish your original list. Chances are, they just don’t understand how awesome you are yet, but they will! Don’t offer information they don’t ask for. Be honest with them if they ask, but never offer information such as the fact that you are new to this, or you have no experience running an eCommerce store. Don’t be afraid to tell THEM no. If they say you have to make an initial order of $1000 to get an account. Politely thank them and tell them that won’t do. Let them know you may contact them in the future and would like a call if their policy changes, but do not get bent over while doing someone else a favor. Be sure to ask about lead times and how they inform you of stock levels. Ask what works best for them to process orders. Do they require a PO or a simple email? Get a return policy from them in writing to make sure it matches your own. It’s all about the attitude. If you really think they are a huge company doing you a big favor, that’s how they perceive you too. If you think you are peers, working out a partnership deal, that’s how they will see it. On your ﬁrst phone call, you should be focused on one goal… Get the name and number of the person who can help you become a “retailer” for their brand. Notice I said retailer instead of drop shipper? This is important, letting them know you are a drop shipping store in the ﬁrst statement you make will close a lot of doors for you. The term drop shipper has been turned into a dirty word over the years because of a few bad apples. My ﬁrst phone call would usually sound something like this…. Me: Hi, my name is Cory from YOURDROPSHIPSTORE. I was wondering if you could tell me who to speak with about becoming a retailer for your product line? Me: My name is Cory, from YOURDROPSHIPSTORE. I’m looking to speak with someone about becoming a retailer for your product line. Supplier: Hello, this is Bob, how can I help you? Me: Hi Bob, my name is Cory from YOURDROPSHIPSTORE. I’m interested in becoming a retailer for your product line. Me: Our store is YOURDROPSHIPSTORE.COM, and we are set to launch in the next 30-60 days. Your product line looks like it would be a fantastic ﬁt for our customers and I think they would be very well received. Is there any paperwork you can send me to get the ball rolling for setting us up on a pay as you go account? Supplier: What was your store website again? Supplier: Could you send me some information about your business so I can have my boss look it over? Me: Absolutely, what’s a good email address for you Bob? Me: Sounds great, I’ll get something out to you this afternoon. Thanks for taking the time to speak with me Bob. Supplier: You’re welcome! Have a good day. Then I would follow up with an email worded something like this…. Thanks for taking the time to speak with me today. I’m excited about working with XYZ Company. 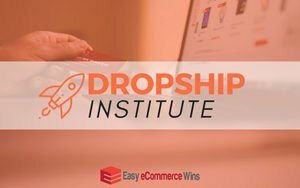 YOURDROPSHIPSTORE.COM is an online store specializing in YOUR NICHE. We are set to launch our advertising campaigns in 30-60 days and would love to include your products in those campaigns. If you have any paperwork you need us to look over and sign before setting up an account, please send that over and I will get it back to you shortly. You’ll notice that I never really asked for an account. I worded that very carefully to make it sound like getting an account was already decided, and I just need them to send me the paperwork. There’s a good chance that if you can get to this point, and get the paperwork returned to them, you WILL have this account. Even if they do not dropship and that comes back with a no after doing the paperwork, you now have a relationship with Bob, and you can call him up and work out a deal. They already put time into you, telling you no now is much harder to do because they don’t want to have wasted their time. Everything beyond this point is just a formality, get the paperwork, return it, and you are good to go 90% of the time. But What Happens if I Get Rejected? First of all, it’s not IF you get rejected, it’s WHEN you get rejected. It does happen, even to the best of us. When it does happen, the most important thing to remember is that it’s not personal. You need to write down the reason they rejected you and move up the list to the next supplier. You can revisit that one later to convince them they made a mistake! I’ve been rejected by suppliers several times, my top 5 suppliers on my own dropshipping stores are all suppliers that rejected me after our ﬁrst call. 1. We don’t work with drop shippers. This one is pretty common. If they tell you this, you need to quickly switch from sales mode to “I’m your buddy” mode and ask them if they have had a bad experience with drop shippers in the past. You should do your very best to ﬁnd out WHY they don’t work with drop shippers. Don’t worry about getting the account at this point, make them aware you understand their stance and accept their answer of no, but you would really like to know what their reason for shutting down a revenue stream is. If nothing else, so that you can make sure your company can avoid bad experience this company has had. I hear this all the time. The idea behind them telling you this is to make sure you are not just some Joe Blow trying to get a discount to order product for yourself. It’s also a test to see just how serious you are about getting an account with them. It really is a policy at some companies now, but it’s not a policy they can’t waive no matter what they tell you. You may have to do some talking here to convince them you are serious. One thing you could try is to offer them a few percentage points less on your discount pricing for a 90 day trial period to prove you can move the product and that you are serious about marketing their brand. Offer to start in a probation period instead of paying the initial order. Tell them you have customers asking for their products by name, and that you think there is a potential to do very well with your current customer base. If all else fails, move on. Don’t get stuck with tens of thousands in initial orders before you start making sales. You can always come back to them after you are up and running and give them an idea of the number of sales they are missing out on. This usually does the trick to get you in without the initial investment. 3. We are not accepting new accounts at this time. That’s either not true, or they are not a company you really want to do business with. In most cases, it’s simply a canned response they use when they are not interested in setting you up on an account. These are the suppliers you need to run the long game with and just plain wear them down. Every month, send them an email saying you are just checking in and would like to setup a retail account with them. Every other month, call them instead of emailing and speak with the main contact. Eventually, they will change their number or give you an account. It’s just easier to let you in and give you a chance then it is to keep taking your calls. That’s it, by now you should have some very good suppliers lined up for your new drop shipping business! Now upload their products and start making $$$$$.